But the cohorts were prepared for the vampires' surprise attack. Kendor started his chanting and used inspire greatness on Kiira, then moved adjacent to one of the vampires (let's call it vampire #1). Anya then used a benign transposition spell to exchange Kendor's and Kiira's places, which enabled the latter to launch a full attack against vampire #1. Most of her attacks missed, so obviously this target had way too many defensive spells up, in addition to its natural damage reduction from non-silver weapons. Anee then cast a targeted greater dispel magic on it; she was able to remove most of vampire #1's buff spells including mage armor, shield, protection from energy (sonic), cat's grace, eagle's splendor, owl's wisdom, expeditious retreat, accelerated movement, ebon eyes and true strike, but it still had about half a dozen defensive spells left. Vampire #1 drained another 2 levels from Kiira, which was now enough to significantly impede her combat skills. Vampire #2 charged her but missed its attack. Kendor took advantage of the vampires’ close proximity to each other and cast glitterdust, negating their hide in plain sight ability and blinding them at the same time. Anee then moved up beside Kiira to remove all the negative levels from her with a greater restoration spell, but it left her open to the vampires' attacks and she was damaged for 2 negative levels. Kiira then cast life's grace to prevent any more negative levels from affecting herself. Since they couldn’t see Kiira, the vampires opted to recklessly lunge and attempt a grapple instead, but they failed their Strength checks against the now-angry dwarf. Their shadow companion then attacked Anya from underneath the floor—its attack would've been fatal but Anya also had the death ward property on her buckler shield. 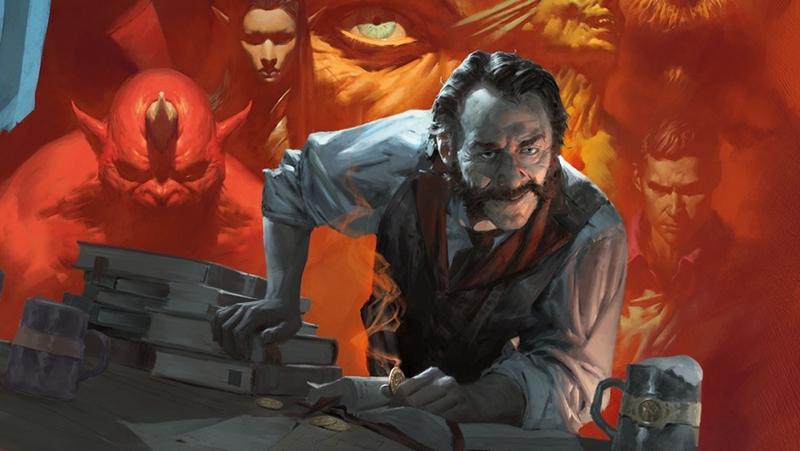 It tried to attack the tiefling cohort again the following round but Kendor was ready for it; he teleported the shadow away from Anya with a successful touch of his g'elsewhere chant spell. Kiira continued to hammer away at vampire #1, but it still looked like it hasn't lost a significant amount of hit points. 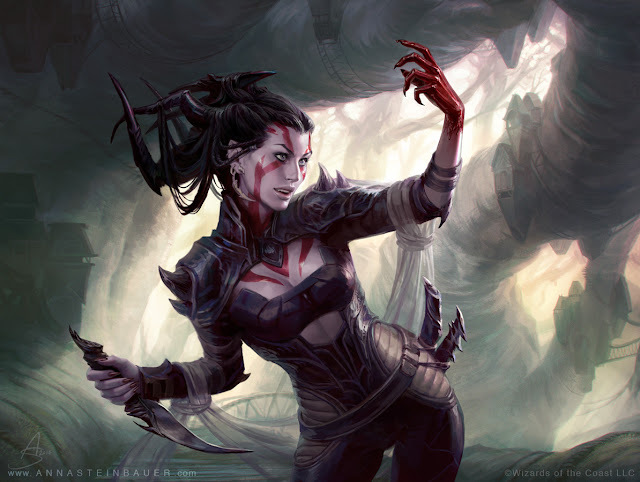 Kendor cast a greater dispel magic on vampire #2 and, like Anee, was able to remove most of its active buffs. 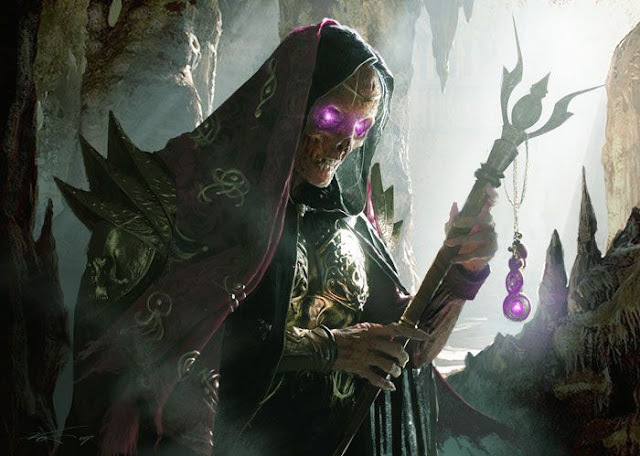 A second greater dispel from Anee removed the rest, which included protection from energy (fire) and scintillating scales, but also removed Kendor’s glitterdust effect from it. Anya cast another glitterdust on the two vampires to make sure that they stayed blinded and visible. At this point the vampires decided they've had enough of the dwarf and her sidekicks, and made a break for the doorway. Anya then was able to temporarily trap vampire #2 with an Evard's black tentacles spell, but vampire #1 was able to dodge away from Anee's sarcophagus of stone. Steve the shadow joined the fray and moved adjacent to vampire #1 even though he knew that his attacks would be useless against other undead. Anya used another benign transposition to exchange Steve's and Kiira's places. Now with an active divine power spell, Kiira's wrath-fueled full attack had brought vampire #1 down by the end of her turn. It transformed into a mist, so Anya used her last wall of stone spell to seal the doorway again to prevent it from escaping.